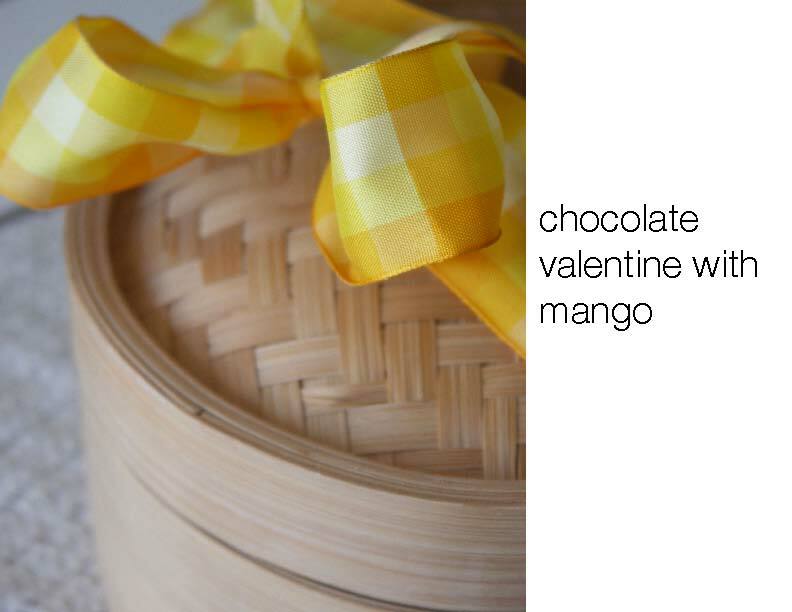 and i sure do, after spending countless hours on the drawing table, for ROSE’S heavenly CAKES: Double Chocolate Valentine (page 113), with mango! YES means: pipe (or spread) 2 cups of whipped cream on the cake, this makes a generous layer of whipped cream. then lay the mango. serve slightly cold, like at wine chiller temperature 65-70 oF. just imagine, it is like having a fresh fruit dessert topped with whipped cream and over a base of chocolate cake. YUM! yes, i make it sound so easy. stay tuned, i’ve been invited to a “mango festival” so maybe somebody will video tape my demonstration on how to lay mango! That is such a luscious looking cake….must have been a real treat ! Here its the Mango season too, and you just have to taste some of the varieties, esp the Alphonso..its a bit of heaven! More so with the whipped cream chocolate cake.Life is indeed beautiful. 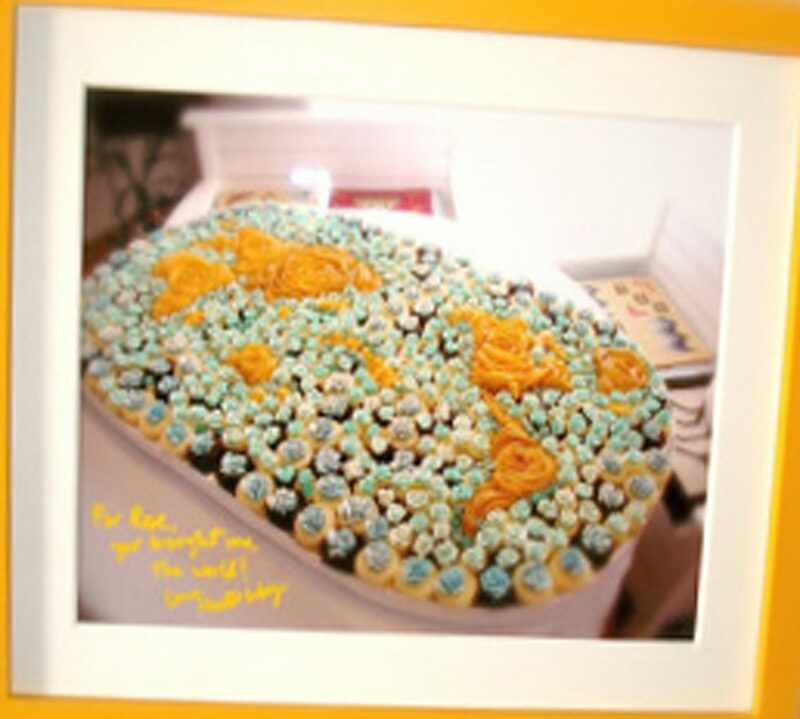 Sure would love to see the arrangement of the mangoes, was intrigued by the Mango Passion Tart a long while ago. 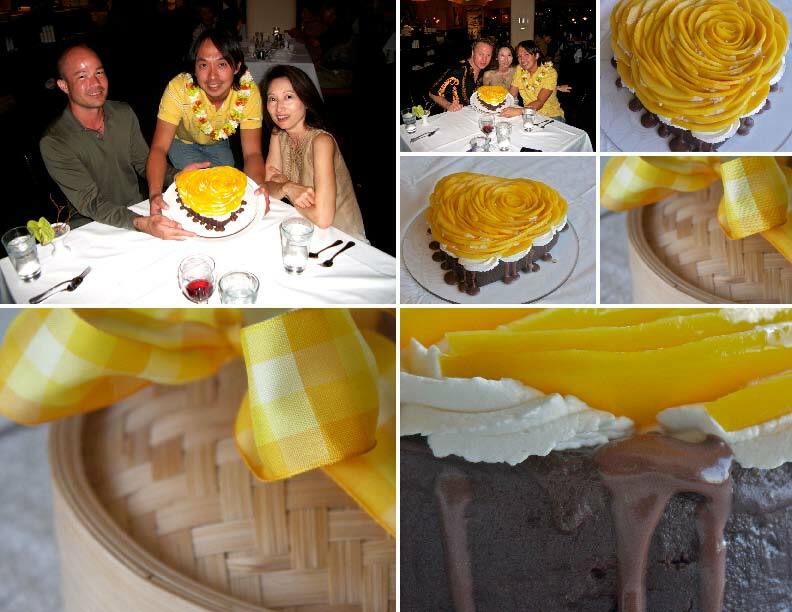 S, I have been invited to the mango festival in Kona on July 31st. There will be a hundred varieties plus posters of my mango roses. Fantastic Friend! I hope you had a wonderful birthday!!!!! You must try the Alphonso variety, if you hav’nt as yet, when you go to the mango festival. Its a deep peachish yellow color on the inside and has a soft outer skin, lovely to look at too. When its real ripe, its like a heavenly custard dripping all sweetness but not cloying at all. Do take lots of pictures for us. C, maybe at the mango featival someone will video tape me? 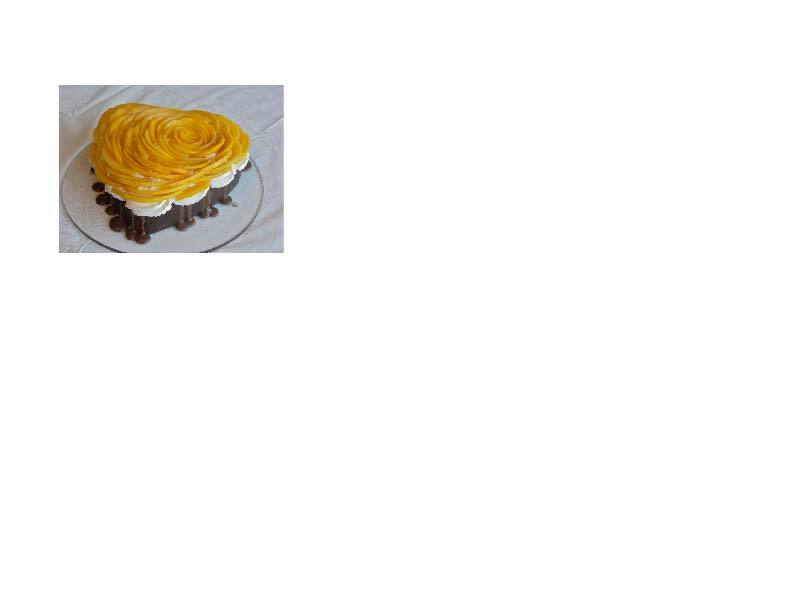 The general idea comes from the mango passion tart on the pie and pastry bible. Sorry for the late comment. Happy happy birthday Hector. What a gorgeous cake! The mangoes look so luscious and ripe. I miss ripe mangoes, you’re lucky that it’s practically falling off the trees in Hawaii :).